I have all read horror stories about serial killers who were eating parts of their victims. And when we were kids, many of us were also fascinated by the idea of ​​cannibals living in unknown jungles due to Hollywood movies. But the truth about cannibalism and its practice is much more common than it might be. In fact, people who have been eating other people have existed for centuries without any social stigma associated with such a taboo. Medical cannibalism and even medical vampirism have been practiced for centuries by both royal and noble families, but have been followed in popular traditions. 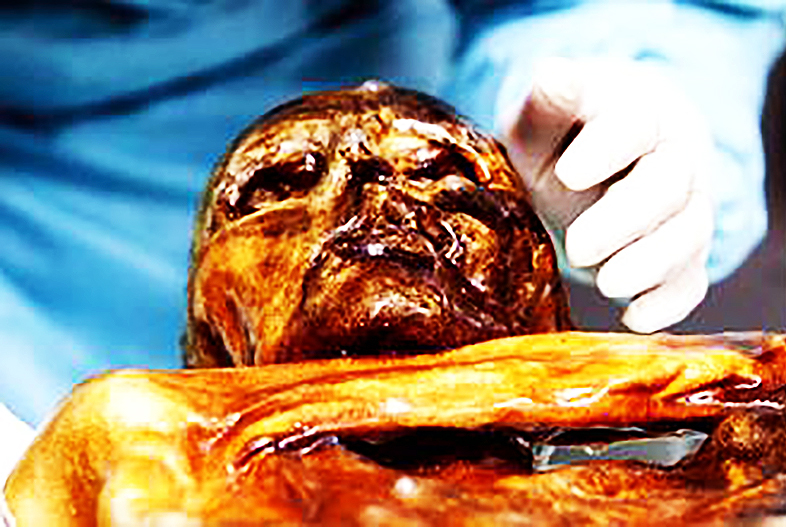 In the Middle Ages, mummy dust was a popular drug across Europe. Mummies or dust of mummies were imported from Egypt. The bodies were then crushed until they became a powder. After being eaten, the powder was considered to cure a large number of health problems, such as rash, constipation and paralysis. Those in the Middle East mixed the mummy dust with butter, the mixture being considered medicine until the nineteenth century. The use of mummies has become so widespread that the Egyptian government has forbidden by law the sale of mummified people to merchants. Gladiators in ancient Rome lived brutal and short lives. They fought in the arenas, in the cheers of the crowd, who wanted more than to witness the terrible deaths of the gladiators. However, some spectators who participated in the gladiator events were there to gather the blood of the gladiators killed. These spectators believed that if they would consume the blood of the powerful, killed people, they could absorb the vitality of the gladiators and gain some of their power, similar to how vampires are said to have revived after drinking human blood. In addition to the consumption of crushed human skulls, medieval men also eaten lichens that grew on the skulls of the dead. According to superstition, the lichens on the skulls of the dead soldiers must be gathered. The lichens were scraped from the skulls and dried in the form of powder. Then there were tinctures, which were used as magical remedies for wounds. According to a 17th-century recipe by Johann Schroder, a German pharmacist, you need the body of a "redheaded man" who died of violent death to cure any suffering. The body must be stretched out in the moonlight for a full day and a full night before the meat is taken from the bones. The flesh was then covered in myrrh and aloe and then soaked in wine for a few days. It might be thought that taking part in the medical cannibalism was something reserved for the poor and the uneducated, but it was also found that kings practiced such a thing. You may have heard of an elixir called "King's drops." It was something that was taken by King Charles II of England to heal. The recipe cost the king the enormous sum of 6,000 pounds and consists of a tincture made of human skulls. The skulls used for tincture came from the graves who dug the bones of Ireland, and the skulls were then crushed, their dust being mixed with alcohol, which King Charles II often frequented. People have always sought ways to rejuvenate. The desire to be young again led to some crazy remedies throughout history. In the 15th century Marsilio Ficino, an Italian priest, recommended drinking a lot of blood to overcome the effects of old age. He said that the elderly could regain their youth by drinking the fresh blood of a young person who died healthy. The young man must have been relatively happy in his lifetime and have lived excessively.